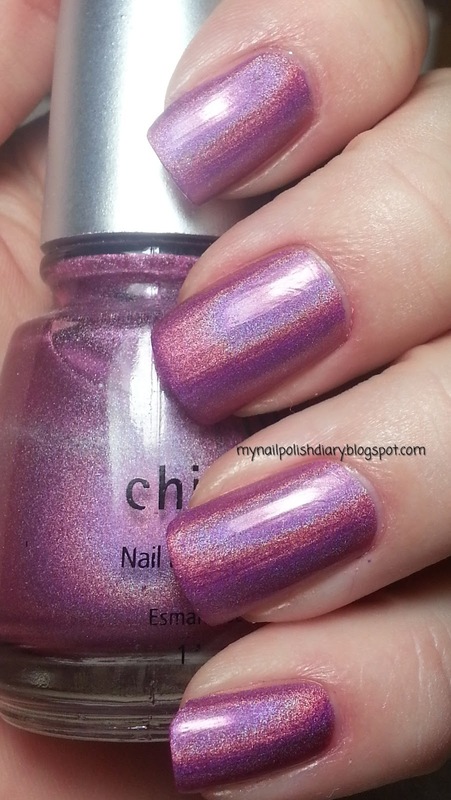 China Glaze Wicked Style was released in the 2011 Electropop Collection. 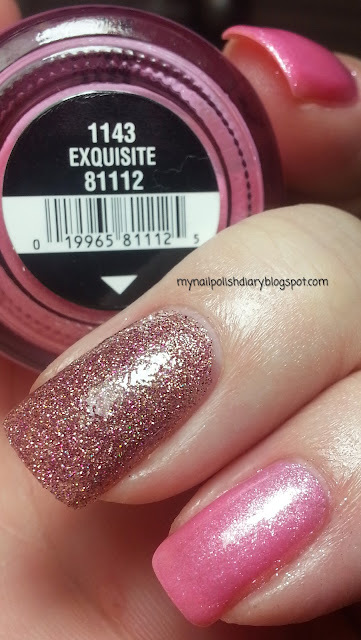 It's a berry pink similar to, and possible dupes of many in my collection. I keep buying these shades of pink. I dearly love how they work with my skin tone. Formula, application and wear time was perfect as always. S-he is a brand I wasn't able to get in the US. My sister-in-law got it for me in Austria. I appreciate her so much for shortening my wish list with the gifts she sends me every year. S-he 250 is a purple foil. The first time I saw this I was like: Must. Get. Now. Sadly, it wasn't possible. I had to wait months to get this, after giving up hope. Thanks Melia for coming to the rescue! It didn't disappoint me either. It's as pretty as I thought it would be. The application isn't perfect, but it's not impossible either. Wear time was just right. OPI Save Me for the accent nail was great. 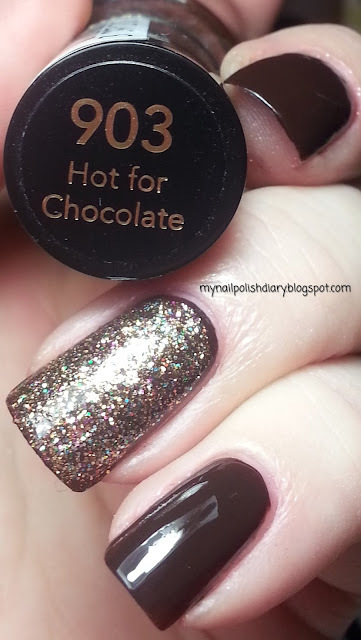 I don't love bar glitter, but this one is not bad. The multi color bars with holographic bars thrown in for added color are fun. 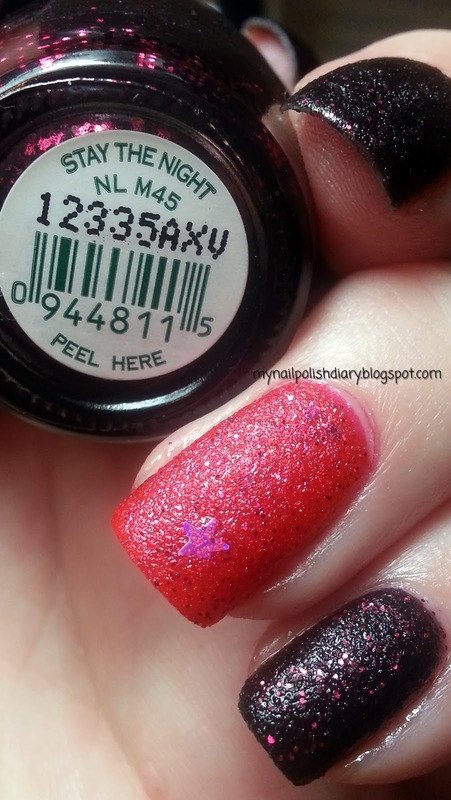 It added just the right amount of color to the mani without overtaking it. 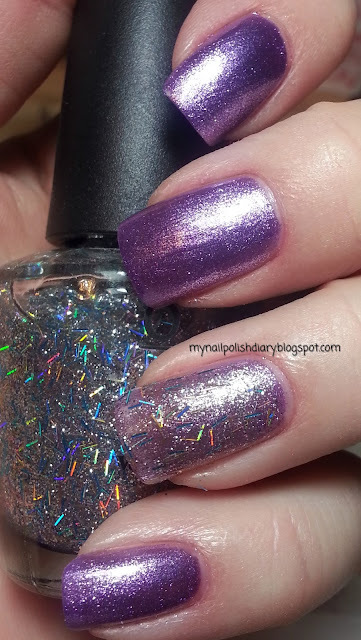 I love a glitter accent nail. 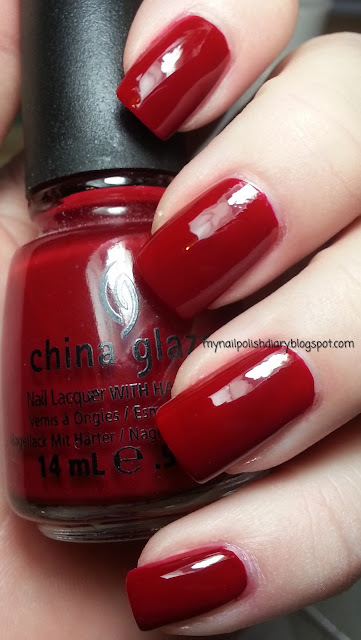 China Glaze Winter Berry is from the 2011 Let It Snow Collection. It's a berry red, as the name suggests. 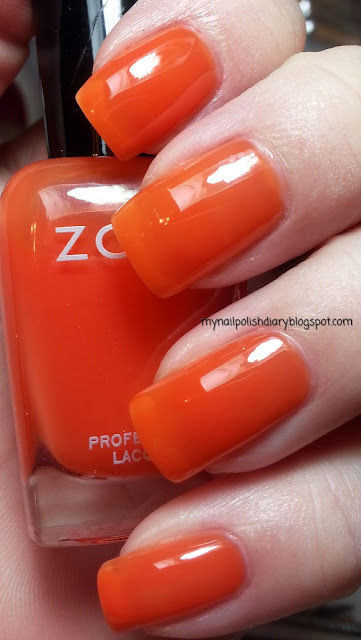 It's a lovely jelly formula that's everything you'd expect from China Glaze. 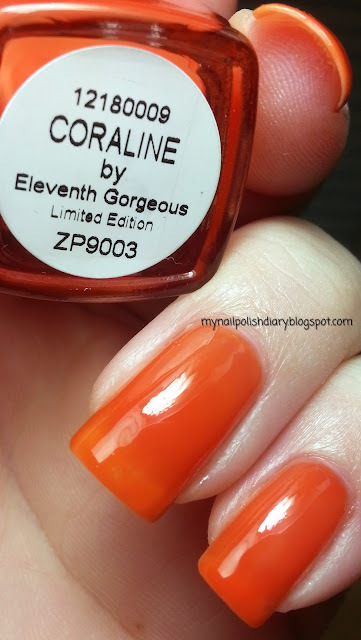 Great formula, application and wear time. Nothing but good to say about this one. I've worn it plenty and it's in my forever collection. 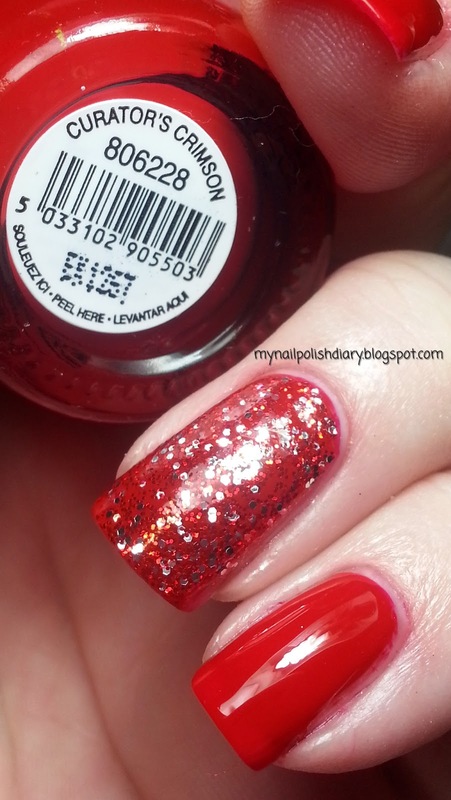 The Burlesque Collection from OPI's 2010 Holiday release is probably my favorite OPI Collection ever. So I added a couple coats of Dollish Polish Girls Rule, Boys Drool. 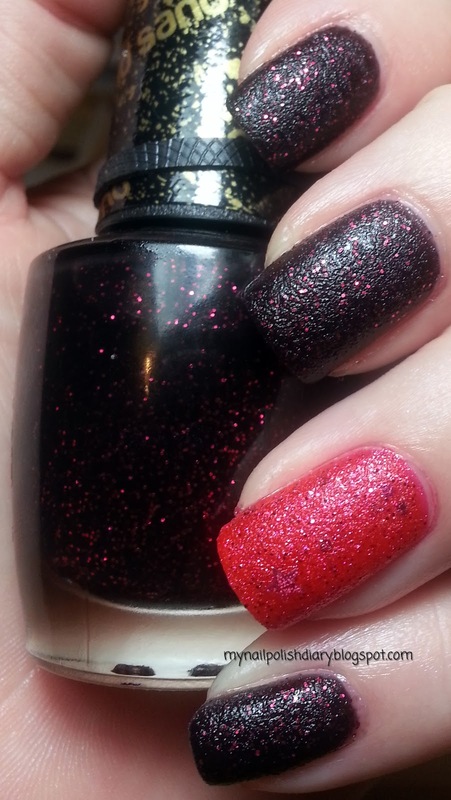 This was a LE from Dollish Polish with only 300 made. I was one of the lucky to be chosen from those who entered the drawing. I had a hard time deciding what to wear it over, but OPI Pink-ing Of You is perfect. It looks so cute. Love it! 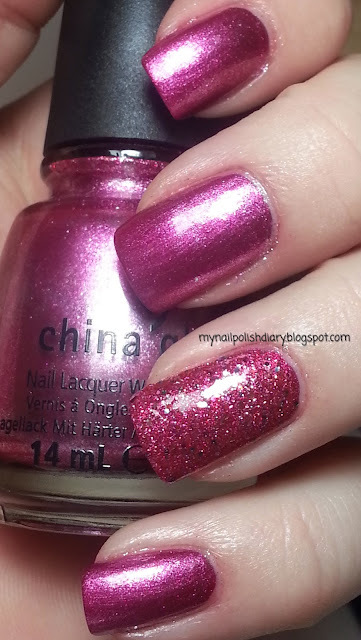 China Glaze BFF from the 2008 OMG Collection. Linear holographic at it's finest. It doesn't get much better than this collection. I think this is the collection that started my infatuation with holographics. 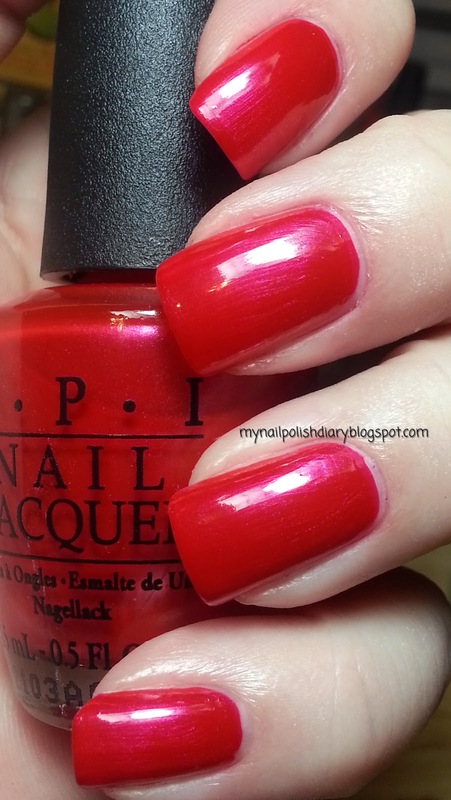 Every single polish in this collection is stunning. I am so happy I have them. I used my Nfu Oh Aqua Base. It's not necessary, but I like the way it hides any ridges or imperfections in my nails. It also intensifies the holographic effect. I feel like it also extends the life of the mani. 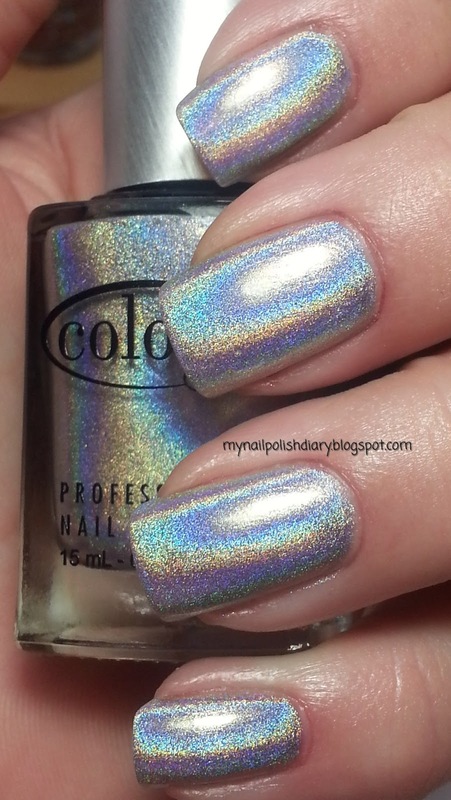 I've tried a couple TC with these holos with no luck. I don't like not using TC, so I need to do some more experimenting to hopefully find one that doesn't dull the holo. 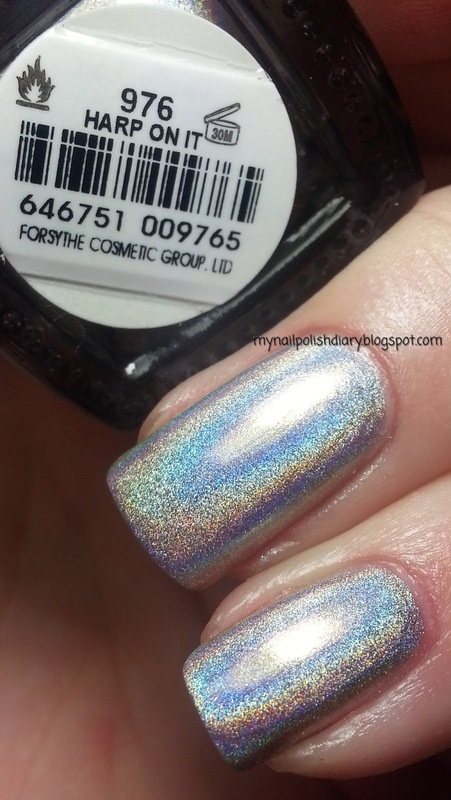 Brazil offers some pretty awesome holographic nail polish! 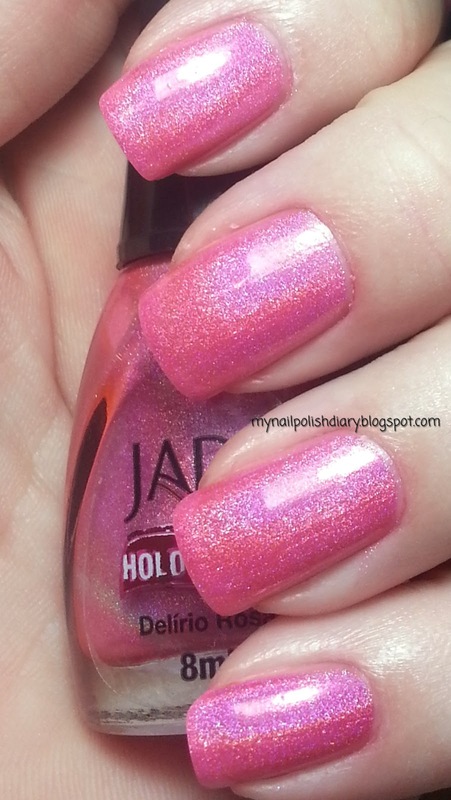 Continuing with the week in pink for my birthday celebration, today I have Jade Delirio Rosa. I got this from a swap with a nice girl from Brazil. We had an awesome two part swap. I hope to swap with her again some time soon. 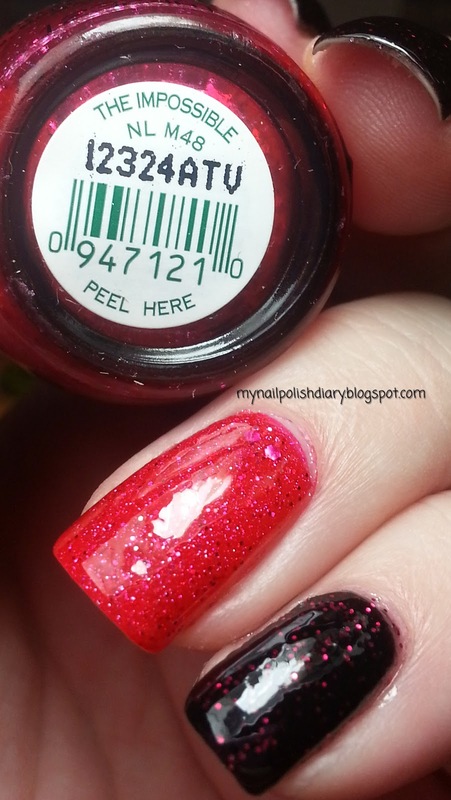 Delirio Rosa is a bright barbie pink holographic. 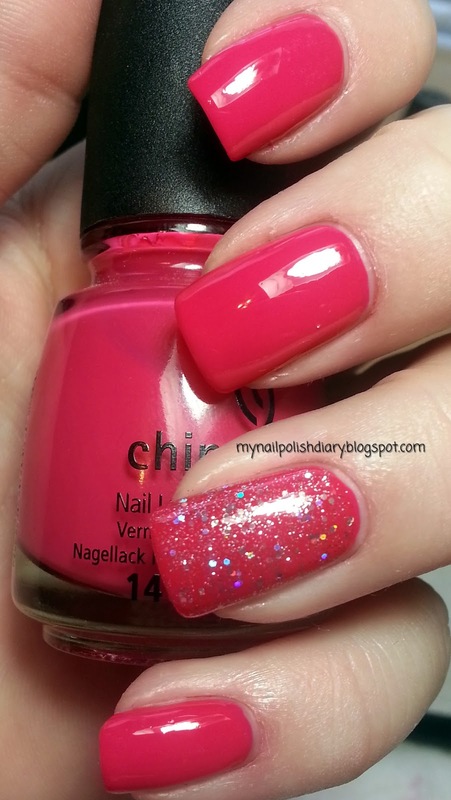 This polish is TDF pretty. I am totally in love with it. I'm going to need a back up of this for sure. 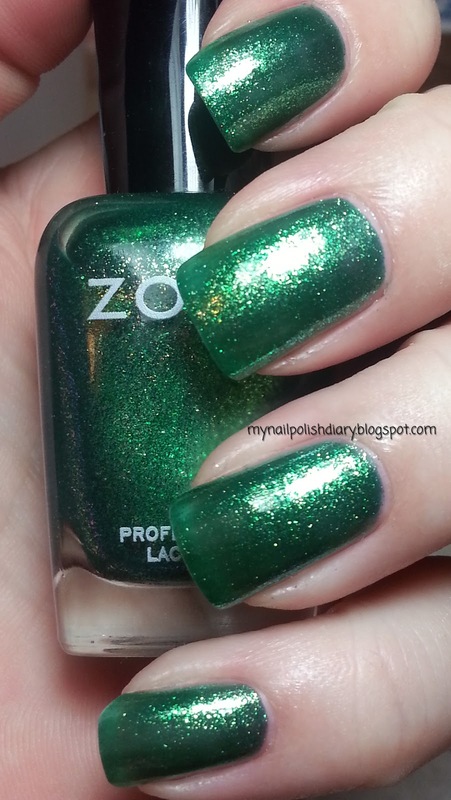 I'm not sure if TC dulls the effect of the Jade holos, so I didn't use any. I don't like not using TC, so I need to do some experimenting. Since it's my birthday, today will be all about pink. My favorite color. And while I'm at it let's toss in some holographic yum :) As a matter of fact I think the rest of the week will be all about pink. Orly Miss Conduct is from the Holiday 2012 Naughty or Nice Collection. Berry, pink and holographic. Ohh yeah! Just what this girl loves! My goodness is this ever gorgeous. I don't know how Christmas-like it is but who cares! It feels like it glows within when you're indoors. When you go outside it explodes with holo rainbows. Application and coverage are perfect. 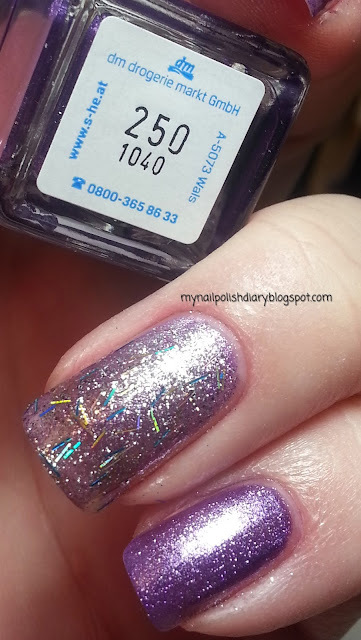 I used two coats with SH Diamond Flash TC.